Other than the resurgent Revolution, who have scored ten goals in the past two games, including a 5-0 drubbing of Clint Dempsey and the greener-than-green Seattle Sounders on Mothers’ Day, it’s been a bleak few weeks on the sporting scene. 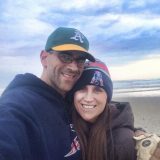 The Bruins stumbled clumsily out of the playoffs at the hands of the hated Canadiens, the Red Sox and their don’t-call-it-a-bridge-year roster can’t buy an extra-base hit and have lost four in a row for the first time since 2012, and all the Celtics fans have to get excited about it an outside chance at a lottery pick or a trade for, wait for it, Kevin Love. 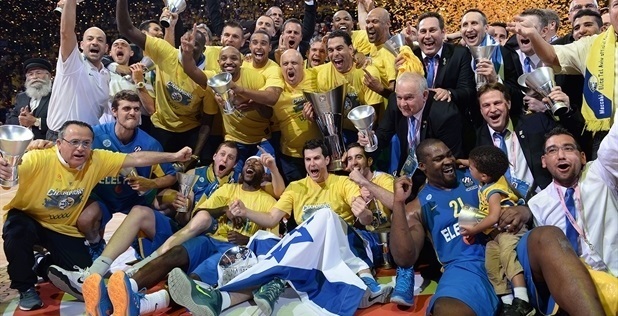 But last night saw some unexpected glory in the sports world as Israeli powerhouse Maccabi Electra Tel Aviv completed a stunning weekend by knocking off Spanish favorite Real Madrid in the final of the Euroleague Final Four in Milan. That makes six all-time European championships for the blue-and-yellow, to go along with their 50 domestic league titles and 41 Israeli state cups, drawing compelling comparisons to the domestic dominance of the likes of Bayern Munich and the early-20th century New York Yankees. While the team has come under criticism for dressing more foreigners than Israelis, including former BC standout Tyrese Rice, who poured in 26 points in the win, they remain, for Israel, a symbol of national excellence on the world stage that really has no comparison, as Israeli soccer teams get routinely stomped into the pitch across Europe. After losing last year’s Israeli league championship to upstart Maccabi Haifa, and struggling out of the gate this year, Maccabi Tel Aviv strung together an unexpected run to the Euroleague title, besting Armani Milan in the quarterfinals, 3 games to 1, and eking out a last-second win against CSKA Moscow in Friday’s semifinal. Sunday night’s game went to overtime, but Maccabi dropped an incredible 25 points in the five-minute extra period en route to the win. The streets of Tel Aviv were packed with raucous fans, Prime Minister Netanyahu and President Peres both made congratulatory phone calls, and somewhere in Framingham a few old people took a look at Tel Aviv’s head coach, David Blatt, and remembered that he once played basketball at Framingham South High School. Hopefully for Macabbi, the next one will be earned next year in Madrid.